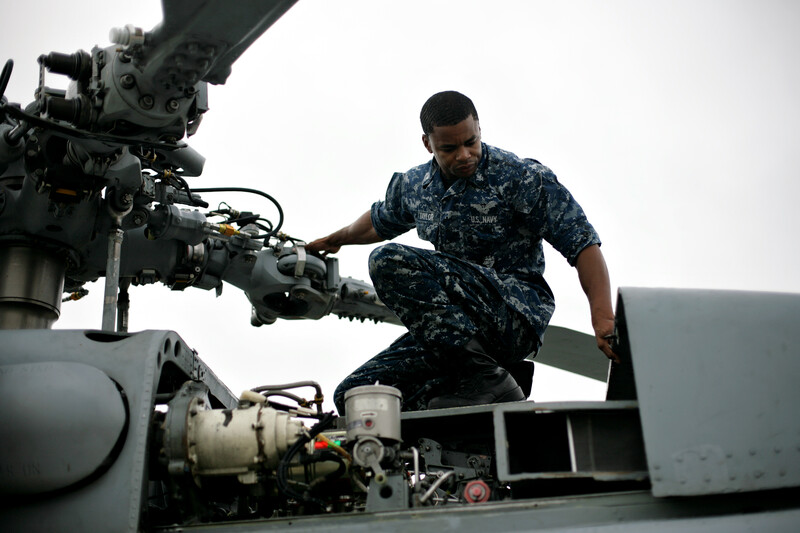 Aviation electrician Lorenzo Taylor performs maintenance on a Navy helicopter at Austin Bergstrom Airport on Sunday. Taylor and his squadron will fly the helicopter from Florida to Arizona, where it will be retired on Thursday after more than 30 years in service. The White family explores a train as part of Austin Steam Train Association's Hill Country weekend ride that takes passengers to Burnet and back. The well-kept vintage train is run by experienced volunteers on the weekends.